Hello Happy Site Owners! 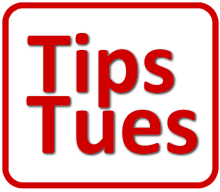 This is the BlogAid Tips Tuesday Podcast for May 28th 2013 and I’m your host, MaAnna. This week’s tips include a webinar on helping you fix your Google Account mess, security tips for your hosting and site, event plugins, and the latest on the rollout of the new Penguin 2.0 update. So, let’s dive in. Listen to the podcast. I hope you will join me and my special guest, Ronnie Bincer, for a free webinar tomorrow to help you Fix Your Google Accounts. It’s Wed. May 29th at noon Eastern. Yes, there will be a replay, but folks who attend live will have access to me and Ronnie right then. You can really help yourself get ahead and ready to take full advantage of the webinar by mapping out your current Google Account connections ahead of time. Download this free report that has all the how-to info. On the WordPress 3.6 project schedule page, they’ve actually crossed out the dates for the first and second release candidates and the final launch date. They are about three weeks behind at this point and we’re still in the Beta 3 version. I’ve been working around the areas where they’re still working out the bugs and continue to update the video library. I’m bringing all of them up to date for current web standards and to account for differences in how things are done if you are using a premium theme such as Genesis, which most all of my clients are on. And, I’m making brand new videos too that include more topics that I cover in my one-on-one training classes. So be sure to go visit the Video Library to see what’s new. I got an email from HostGator saying they would be porting my site over to a new server with upgraded cPanel and such. Said it may require changing the DNS or IP. That made me suspicious. If you ever get an email like this, call to check to see if it is legit. Never change your DNS or IP until you know for sure because it is a hacker/spammer tactic. I called, it is legit. Better safe than sorry. The global botnet is still on the loose and taking down sites all over. Several folks have contacted me in the past couple of weeks to fix their sites. Let me be very clear about this. Nowhere on my site do I advertise that I offer emergency site services. What I do advertise all over my site is prevention and education and here’s why. It’s a whale of a lot cheaper and peaceful. Chaos is something we avoid at BlogAid as much as possible. I do have good relationships with folks who can fix your site, though. One of them is a company called FixMyWP. They also offer maintenance packages. Maintainn also offers maintenance packages. They are both run by super folks and I highly recommend them. But nobody on the planet can save you from your own ignorance. You’re a site owner. And all sites live in a bad neighborhood called the Internet. Read my post What Will it Take for You to Get Serious About Site Security and learn what you need to know to be a responsible site owner and protect your biggest asset and investment. As you know, I’ve been doing webinars more regularly and I’d like to find an events plugin to help me display them better on my site. I also have a client who wants to just post events. Neither of us need to take registrations through the plugin. We checked out The Events Calendar plugin. But to tell you the truth, what it displays is pretty ugly formatting. The pro version is a little better, but not much. I’m checking CalPress. it has decent formatting and the sidebar widget shows the date like a day calendar. I also saw that the Events Handler plugin was recently updated. It seems to have a lot of nice features, but sure wish the developer had thought to put screenshots in the info so I could preview before installing. I’ve also been looking at the Booking Calendar plugin for another need I have. Usually run a special at the end of the year and it fills up so fast that I’d rather let folks book themselves from the empty time slots available. Right now I use Schedule Once. It works, but of course it’s a third party service. Might be nice to have this on my site. But then, since I only run that special once a year, I don’t have to keep that calendar updated with my availability all the time. EventBrite is nice, and it takes tickets too, but overkill for our needs. What do use and why? Recommendations are certainly welcome. Leave us a comment. Are you struggling to come up with blogging ideas? On How to Make my Blog, Marko Saric has 31 Ideas For Types Of Posts You Can Publish On Your Blog. Now, I know a lot of you are going to just scan through that post and see what jumps out at you as easy. But, isn’t that part of the problem already? Take a moment to see how you can apply each one. I bet you come away with twice as many ideas. The latest Penguin 2.0 update was released by Google. Matt Cutts tells us what to expect this time around. And this Penguin update is also going to be looking at the links on your site to see if they doing what Google calls floating Page Rank, or what affiliate marketers call leaking Page Rank. I’ve got to make some changes on my site for this and know that several of you need to know more about making links nofollow and/or cloaking them. So, I’m gathering up my notes and will have a post on it for you soon. What does your domain name say about your business? And, how does it impact your SEO? Spencer Yao has an excellent post on Search Engine Journal titled How Your Domain Name Will Impact SEO & Social Media Marketing that answers those questions and a whole lot more, including the impact of getting one with keywords or an exact match domain. Thanks for a great list of tips. You saved me a bunch of time. I can’t stress enough how important is to keep a backup(weekly at least) of your website making it easier to recover when bad times come because eventually they will come so you better be ready. 6 out of 10 support requests I receive would have been resolved in 80% less time if my clients(or their hosting company) kept a backup. Even though I do my best to get your website backup I still can’t restore data that aren’t available from a backup. One of my latest fixes was for a client that is now re-building her blog content because she lost her website backup probably due to a service failure from her previous hosting company. Hi Makis! I hope everyone takes your words to heart and gets serious about setting up a good backup and restore plan, especially storing those files off their hosting.